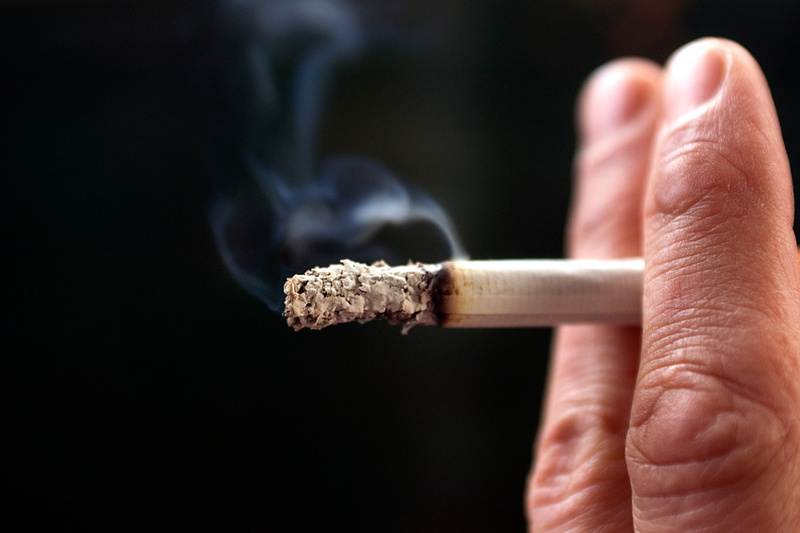 Smoking: A habit to kick or an addiction to surrender? Cunning, baffling, and powerful! Don’t those words describe addiction to a tee? Experience teaches that when we are addicted, we cannot consistently control how much or how often, nor what happens when we are under the influence. Regardless of how well our will works in other areas of life, when it comes to our addictive substance, we are powerless. On the other hand, once we get through detox and weeks of physical healing, we must once again rely on will and power to support the kind of decisions and actions that build sustainable recovery. It seems to me, that recovering people have proven that this formula, albeit a paradox, works if you work it. I recently heard this version, “it works if you let it”. Our trusted recovery formula applies to tobacco addiction too. It is not easy though. Tobacco dependence proves to be every bit as cunning, baffling, and powerful as our other drugs of choice, but with different consequences and levels of social acceptance. You may know that Bill Wilson and Dr. Bob, the founders of A.A., both died of tobacco related illnesses. At that time in history, smoking was seen as a mere habit to break, and cigarettes were even marketed as digestion aides. I am curious to know if either of them tried to apply the steps, once they realized they could not stop. From what I’ve read, Bill W. tried hypnosis, cutting back, and going cold turkey, without success. [i] Sadly, the various nicotine withdrawal products were not available, and they may have helped his brain chemistry stabilize. With withdrawal medication, he might have felt good enough to apply the steps to his tobacco dependence. I say this because tobacco is no different than alcohol or other mood altering substances when it comes to disrupting the thinking process. Many of us smoked years before we became dependent on those other substances, which is why preoccupation, mood changes, and agitation associated with tobacco withdrawal become a power greater than self until the brain and body chemistry begins to stabilize. Nicotine replacement products are often mistrusted and misunderstood, but they really do help. They provide just enough nicotine to keep the brain chemistry in stasis, and allow enough time for it function again. Medications such as Chantix/Champix or Zyban do something similar, and they give a little extra boost of dopamine, the stress relieving chemicals. When that happens, our own will has a chance to get stronger; our ability to surrender within reach. Without help, it is too much for us. If cold-turkey methods have failed in the past, why not try an over the counter product, or discuss medication with your healthcare professional? Speaking of controversy, I recently heard this argument. If recovering people use tobacco, they should not claim to be sober, because of active tobacco dependence. Another growing argument, suggests that if a person smokes once they have 2 years of recovery, they should not claim sobriety either. What do you think about that? I spoke with Joe, residing in a treatment program with mandatory no-smoking policy; no smoking allowed at all. He was convinced that he would not stay off tobacco once he was discharged, not unless he really wanted to. Worried that he would not be able to count days of recovery if tobacco was lumped in, he felt angry and unsure of himself. If you live in the U.S. or the UK, you probably know there is mounting pressure for treatment centers to become totally tobacco free, so all of the arguments and stories above are going to be heard more and more. I think they are here to stay, controversial as they are. I understand both sides of the argument, but of course I mostly lean towards the side of the recovering person who is struggling to make it one day at a time, and personally feel there is a much bigger issue at hand than what we call ourselves. Success rates for the existing smoking cessation practices hover in the 8-15% range at one year, [ii]and upwards of 70% of people who enter treatment programs use tobacco. [iii] Many try to quit, and they are not succeeding. That is where my attention is, trying to figure out what will help people let go of tobacco, without feeling absolutely deprived and half baked, and resorting back to all their drugs of choice. Even with all the withdrawal medications, cessation efforts are falling short, especially amongst people who are co-addicted to other substances. Ponder this; Tobacco use has been a part of our recovery and treatment culture for 50 years. What if the thing that we have so readily accepted, actually interferes with abstinence and recovery? For years, many smokers, including me, were led to believe that smoking is a habit to break after a period of time in sobriety, and that when ready, we would simply apply our will and stop. No one meant any harm, it is what we believed. Tobacco use was, and still is, the norm in our culture. “One addiction at a time, smoking is nothing compared to the unmanageability of your drugs of choice”. Those ideas were passed from one to the other, I passed them along myself. I think we are wise to re-evaluate some of the old beliefs now, in the light of new knowledge, and industry admission, that tobacco products are engineered specifically to create severe addiction. Thus, as an addiction, just like our other drugs, tobacco use is working subtly and slowly behind the scenes in the brains control circuitry. The physical characteristics that define addiction are virtually the same for tobacco, alcohol, and other drugs. Pre-occupation fueled by physical withdrawal, emotional intensity, and mental chatter that provides ample reasons why the next dose is necessary. This strong desire leads to more pre-occupation, and then compulsive use. After a period of abstinence, another dose of the chemical will provide the sense of well-being, euphoria, normalcy, or numbness immediately, even if fleetingly. Thus, it provides a sort of neurochemical overload. Say goodbye to thoughts about “quitting”, they are overruled. In spite of harmful consequences to self and others, the pursuit and use of the substance continues. It is accompanied by denial, rationalization, deflecting responsibility, and minimizing…slowly turning to hopelessness and despair. A variety of attempts to cut down or quit are tried without success. A persistent inner voice demands that you stop or gain control, but it proves impossible for any extended period of time. You may promise others you’ll stop, and you want to, but you don’t. Specific to assessing nicotine dependence: smoking within 30 minutes of waking up, and waking up in the middle of the night to smoke. (Some do the same with other drugs and alcohol, no doubt). We’ve already learned that when it comes to addictive and mood altering substances, quitting is not an option. The formula for tobacco recovery is not new, recovering people have been using it for years. Could Tobacco use actually interfere with recovery? For some, tobacco and relapse probably go together. During my Hazelden counselor training program in 1989-1990, I gained some insight during a placement in their 5 day, residential pilot project. We offered focused education and group counseling for Hazelden alumni who wanted to quit tobacco. Some had endured many relapse cycles and they were sick and tired. A few had oxygen tanks in tow, and one was scheduled for a triple bypass the week after the retreat. Others had maintained sobriety, and even enjoyed notoriety as trusted voices in their 12-Step groups. They were painfully aware that they “should” quit, but their attempts to do so with will power alone had failed. The anger, grief, and shame they dumped in the groups could have filled a football stadium. They believed they were simply unwilling and/or unable to break a bad habit, even though something in them suspected they were up against another addiction. We explored the ways in which language and belief can harm or mislead the most well intentioned person. For example: saying, “I am a smoker, who must quit” is quite different than, “I am powerless over tobacco”. Quitting implies an act of free will and choice, and admitting powerlessness? Well…you know…that points to a different reality entirely. It defies logic, but we know that every attempt at recovery after relapse, feels harder. I wonder if the odds against success are greater with tobacco use in the picture. During those brief moments when the smoke is curling, and the inhalations and exhalations are full of smoke, I dare say tobacco is a power greater than self. And in those moments, the neurochemistry of addiction is alive and well, unconscious and in control, and only slightly satisfied. The full satiety, or sense of normal, will come when the co-addictive substance returns. Might it be that for some, an addictive addiction sits right in the midst of a recovery attempt? Addiction hurts, and relapse may hurt even more. Mental, emotional, and social, consequences take an enormous toll on us. Sure, it is true that some people have long term and contented sobriety andthey use tobacco. Also true, is that non-smokers struggle and suffer through endless relapse cycles and trips to treatment. Perhaps they have some wisdom to offer to those who are struggling with tobacco dependence. We are all in this together, and there is much to learn in the year 2013; things we certainly did not know in the early years of treatment and A.A.
Lindson N, Aveyard P, Hughes JR Reduction versus abrupt cessation in smokers who want to quit. Cochrane Database Syst Rev. 2010 Mar 17; (3):CD008033.doi: 10.1002/14651858.CD008033.